← Faster is sometimes more valuable than better. Why buy IT? Why buy MINE? Why buy NOW? What a powerful set of three questions. These are so succinct, so well defined, so precise that everyone in sales and everyone involved in marketing must be able to answer these three questions without pause, and convincingly. Turning these into statements instead of questions provides a framework for the sales presentation from the highest levels of collateral materials and marketing support, to the salesperson on the front line. It would pay you to work over this set of questions in a special session with sales, marketing and senior management in the room at once. It is that important. Can you, your sales people and your marketing staff answer this succinctly? Is your product or service one that responds to a customer need, real or perceived? This question deals with the offering in general, not yet with your version of the product. In general, there are three types of products or services: those a customer needs, those a customer wants, and those a customer believes he does not want or need. Your marketing and sales effort must be focused entirely upon making your product solve an urgent customer need. Sometimes, companies do this by creating demand where none existed before, such as for Listerine in the early days with a campaign to eliminate halitosis, the dreaded bad breath that consumers had no name for and did not think of as a need before that most successful advertising campaign. Product differentiation is absolutely necessary to make a sale when there is visible competition, as there usually is in any sale. Your marketing and sales people must know how to state clearly, with as few words as possible, the reason why your product best responds to the customer’s needs. [Email readers, continue here…] There is quite a difference between describing features, as many untrained sales people do and most engineering types almost always do, and describing benefits as a good sales person does. What the product does is less important than why the product solves the customer’s problem, and how the product does so in ways obviously better than the competitor’s product. This story should never be left to the sales person to make up, or each will make a different story for the purpose of a sale, not always aligned with the company’s market positioning and rarely as precise and compelling as that created by professional marketers. Without creating a sense of urgency, a sales person will have trouble closing the sale, allowing competitors another chance to make their case – often with the advantage of hearing the customer recount your benefits as he heard them. It is not a good place to find yourself and is one where the odds of finally closing the sale drop considerably. Provide incentives for the sales person to use as needed to create the sense of urgency needed to push the customer over the line and commit now. Give him or her latitude for a discount up to a maximum percentage, dunning commissions by at least that percentage to make sure the tool is not used until needed. Provide a deadline after which the price will increase, the sale will end, the product will be re-allocated to another customer, or a tax credit will expire. Make the urgency clear with the sales person, so that no customer who waivers will fail to be offered something to make the sale now. Recently, a roofing insulation sales person had my attention as he described his company’s sale that would end the next Friday, and he made sure I understood that the Federal tax credit for such energy-saving home improvements would be applicable to this sale. He went on to state that the $4,500 cost would qualify for a tax credit (not merely a less-preferable tax deduction) of $3,000, or $1,500 for each of the two bundled services he offered. Something seemed very wrong to me about this credit, which I had recalled to be 30% of the actual amount paid. Because the sales person was not credible in this one area, I told him that I would check on the credit and call him a day later. Of course, it took all of a minute using my search engine to figure out that he was attempting to apply his credit offer to the retail price, not the sale price, and twice for two products instead of once for the installation as a whole. I am sure other customers fell for this, but I was angry enough for this falsification of the facts that I called the sales person and not only declined, but read him the riot act in the process. Why buy now? Be sure there are no misrepresentations anywhere in the sales process. This entry was posted in Positioning. Bookmark the permalink. 2 Responses to Why buy IT? Why buy MINE? Why buy NOW? Perfect! This is like an elevator pitch that will help marketing people create the message and salespeople deliver it. Under the “why buy mine,” however, yes, definitely focus on the “what” (the benefits), but maybe not so much on the “how.” (Everyone has heard the joke about the engineer who was asked for the time and proceeded to explain how the watch worked.) Perhaps in consultation with said engineers, esp. if this is a new and improved tech product, create a list of 3-5 bullet points at most that describes the “how” and why it’s different and better, with the understanding that the sales rep refers to it only if asked. As to the “why buy now,” this provides an opportunity for “what would it take” dialogue with the customer, and also gives both sales and marketing an opportunity to become more familiar with the customer’s sales cycle. 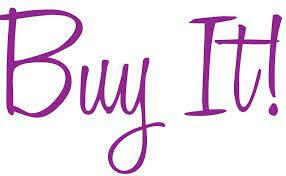 Often a customer may want to “buy now,” but can’t because of budget or other considerations as to the timing of the buy. Ignore understanding of each customer’s sales cycle at your own peril. I worked for a company that mistakenly bet the farm on a particular sector without understanding either its sales cycle or other common objections that prevented a ‘buy now” close, which the company could easily have addressed had it been paying more attention. One of my favorite concepts you have ever discussed. It should be a book. Did you develop this, or pull it together from other books/authors/people? It is the kind of thing I want to mention to others. When I do, it can be the Berkus sales method or whatever you think is appropriate. I hit my team again with it, and we had a wonderful teachable moment in the airport today, as we are headed to a conference. The answered morphed, as we specialized them to the exact audience and conference we are about to attend. Thank you!